The safety of our children is a priority at the Gulf County Sheriff's Office. 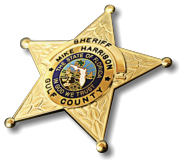 In partnership with the Gulf County School Board, two Gulf County Sheriff's Office Deputies are assigned to our schools in Gulf County. A full-time School Resource Deputy is assigned to Port St. Joe Jr.-Sr. High School and Wewahitchka Jr.-Sr. High School. School Resource Deputies (SRDs) are responsible for law enforcement, safety and security, mentoring, and providing a positive role model for the students. One purpose of the SRD program is for students and deputies to develop partnerships and to promote respect and trust between them. Partnerships like this open a line of communications between the SRD and student, which can provide information to law enforcement. The information can not only prevent crime, but assist in ensuring safety for students and staff. They are responsible for campus security, security at sporting events, and investigating incidents and criminal offenses that occur on campus. SRDs support other Sheriff's Office personnel in investigations involving the school or students and also serve as a liaison between the school administration, students, family, social services, and the courts. The presence of a deputy on our school's campus can often prevent problems from happening and promote a safe learning environment, but when problems do occur a SRD is there to intervene quickly. In addition, SRDs with the Gulf County Sheriff's Office are instructors for the Drug Abuse Resistance Education (D.A.R.E.) Program and teach the elementary and middle school curriculums in 5th and 7th grades. The program teaches students how to resist drugs and violence, by empowering them with good decision making skills to live a safe and healthy life.